Professor Bao died at home after a draining and very difficult two and one-half year stuggle against a rare and very aggressive form of breast cancer. She fought valiantly to get back to her students and her research, but after a short respite in the spring of 2005, she was forced to return to chemotherapy. 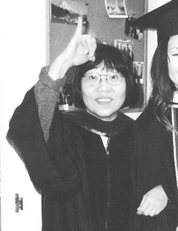 In addition to her role as an important and tireless scholar of women in Chinese history, Bao Xiaolan was a wonderful friend and colleague whose memory will remain with us, and the hundreds of people around the world whose lives she touched. If you would like, you may fill out the donation form and mail it to the address provided.